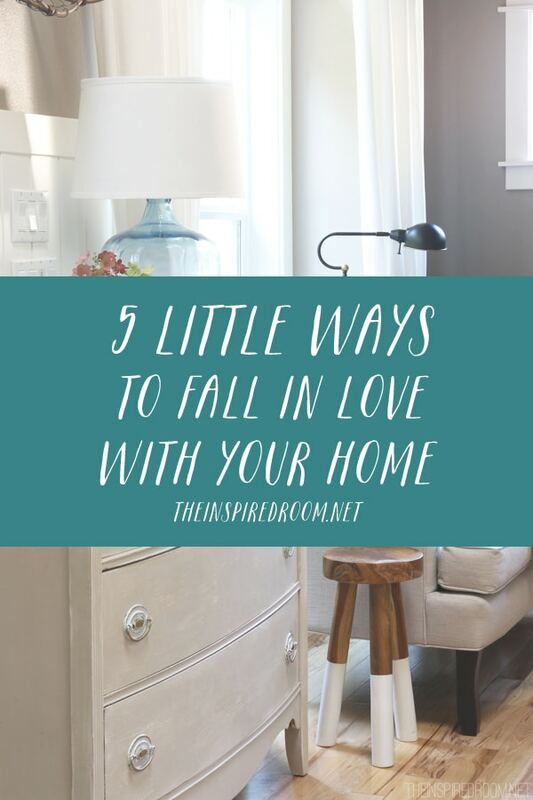 Fall is a great season to fall in love with your home. Do you ever dream about your home? As in, think about things you’d love to do if time or money were no object? I do. But honestly, sometimes I get so busy that I often forget that essential element of being in love. 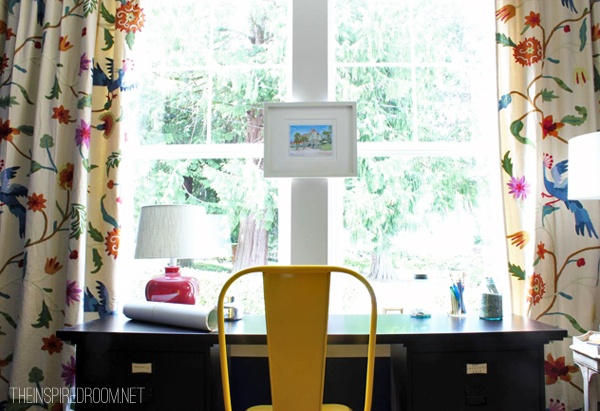 Take a few moments to wander around your home and dream about one room. What could it look like with a little time or money? And then go one productive step further and think about how you could make that dream come true sooner with a little creativity. 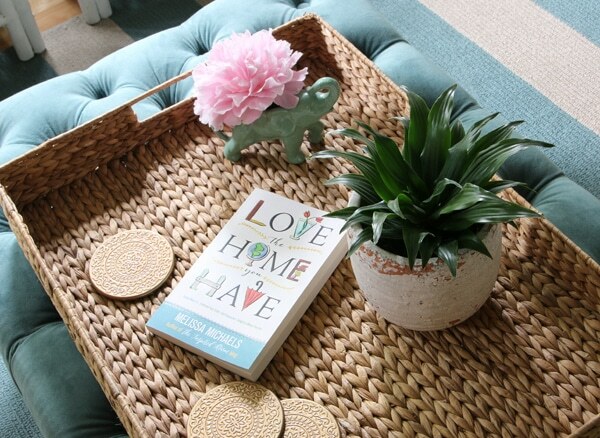 Showing gratitude for the home you have is such an important part of loving what you have. It’s easy to be frustrated with things about it, especially when you look around at everything everyone ELSE seems to have or be doing. But a roof over our head is a GIFT, so count all the ways your home is a blessing to your family just as it is. Look around and count the things you already love about your home! 3. Find joy in routine. Routine can be so boring. So predictable. But routine can also be SO wonderful and important when it comes to feeling in control of our day and how we take care of our home. Think of one routine homemaking activity you dread. Is it dishes? Laundry? Making the beds? Cleaning the bathroom? Organizing? Think of ways to bring a little more joy to that activity. Combine it with music you love, light a candle that makes you happy, or get yourself something new that will make the task or the room you are in just a little more cheery. New pillows on the bed? Pretty towels to hang up in the bathroom? Pretty baskets for organizing? 4. Be in love with one corner. 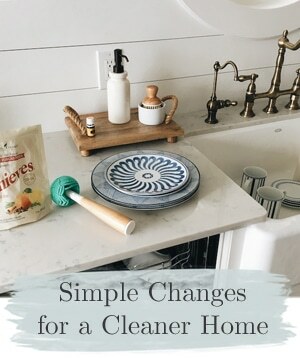 So your whole home isn’t perfect or tidy or just the way you envision it? Welcome to how most of us live! But instead of feeling frustrated about that, how about working on just one corner? 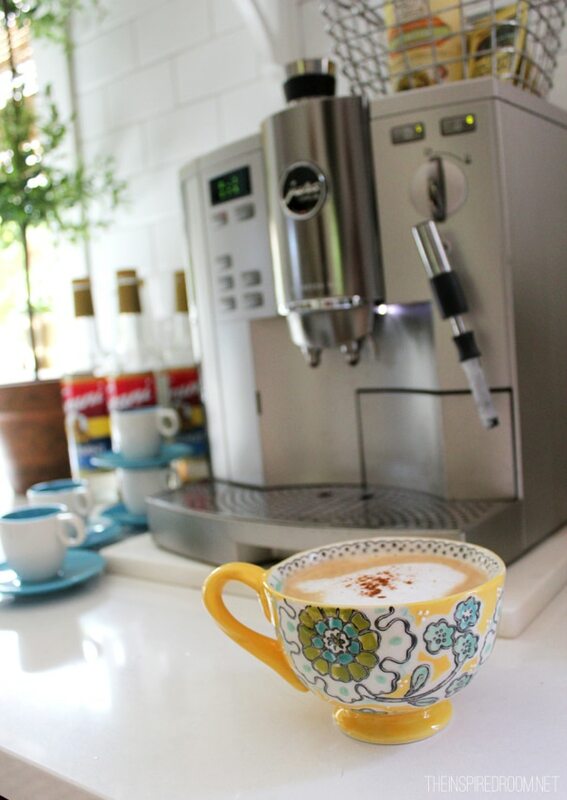 Be creative and make it your favorite place in the whole house! I don’t know about you, but sometimes I forget to do things I love. I get bogged down in things I have to do. Whenever I start feeling overwhelmed, I have to remind myself to STOP and go do something I love to do around the house. Usually that involves things like puttering, decorating with a few seasonal touches or making myself a cup of coffee in my favorite mug. Do you love Fall at home as much as I do? Then we are KINDRED SPIRITS! Link up to our Fall Nesting Linky Party (below) & start showing off your Fall home with #inspiredfallnesting! 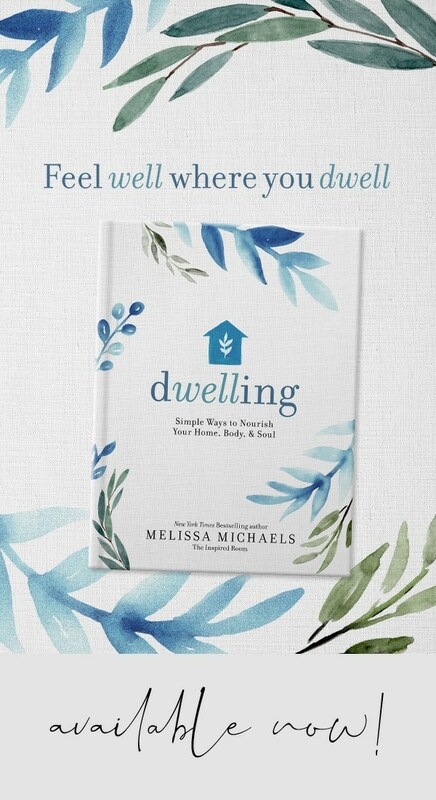 Check out my New York Times Best Selling book, Love the Home You Have! Day One, Day Two, Day Three, Day Four, Day Five, Day Six, Day Seven, Day Eight, Day Nine, Day Ten, Day Eleven, Day Twelve, Day Thirteen, Day Fourteen, Today is day Fifteen! Great list, and all so true! I’ll be following along for some great encouragement from you. Looking forward to it! Yes, that’s where the creative part comes in, right? With no construction you’ll have to dream in creative alternatives :-). Your words ring true. We recently moved into our new house that due to an unscrupulous contractor took two years to complete and left us financially and emotionally drained. Despite this experience (or maybe because of it) I wake up every morning feeling tremendously grateful that I get to live in such a beautiful home. I try to take pleasure daily in the routine chores and occasionally “treat” myself by taking some time out to do a little decorating or just sitting on my back porch enjoying the last of the balmy days. I love Fall and I love my home. We have recently bought a house after renting for 2 years and living in a hotel for 2 months and I so appreciate my home. I am having so much fun painting, remodeling and decorating. Great list. 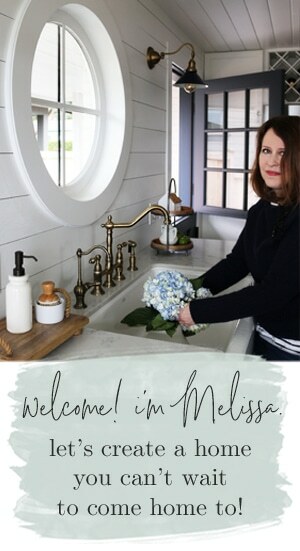 Beautiful and practical advice, Melissa. There’s so much to be grateful for! I am LOVING Fall, over here and in our own home! Great points! Looking forward to following other inspirational posts! I adore my house and all of your points really hit home for me. I bought my ’60s Cape a year ago and have loved it from the first day. It needs some work, but I’m taking my time with projects and truly enjoy dreaming about everything I can do to each room. 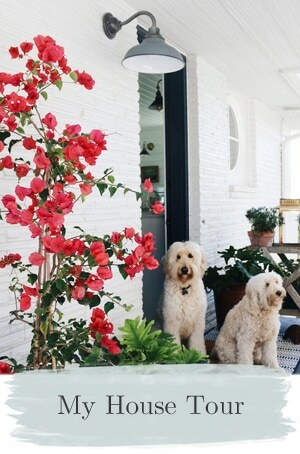 When I take my dog for a walk around the neighborhood or I’m puttering around the yard, I’ll often pause and just look at my house (especially now that I have pumpkins, Indian corn, and my fall welcome slates out – I ADORE fall!). When the lights are on and it’s getting dark outside, it looks so cozy and I am just so grateful and thankful that it is mine. Thank you for such a wonderful post! I couldn’t agree with you more! Everything you said is just how I’m feeling right now — last night I lit the candles on my mantel, poured a glass of wine — and folded my laundry. It was lovely! I love this! I find I can get so busy with the bigger projects that I need to remember to take the time to slow down and enjoy our home in the little ways too. Thanks so much for the reminders. I wish we lived closer together so we could “dream up” a few projects for each other’s houses!!! 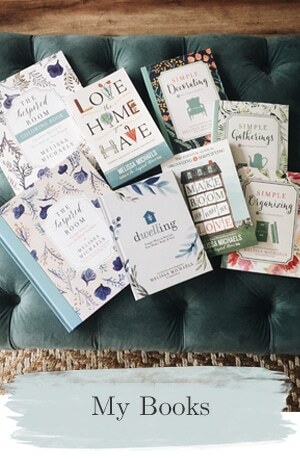 You and I are definitely kindred spirits – great post!!! I love fall. My favorite thing I did this year was set a pumpkin in a flower pot. It is so cute. Great advise! I love my home, but sometimes it overwhelms me. Those suggestions have truly done wonders for me personally. Can’t wait to see what else I can glean from your insights! What a lovely post. I’ve been doing everything you mentioned since I totally unexpectedly bought my home in December 2012. I wake up every morning thinking how much I love my house and the trip down the hallway, opening every drape and blind along the way (to a beautiful though-not-forever-more greenbelt in the Arizona desert) on my way to the kitchen for that morning cup of coffee. The only thing I miss is not having my late husband or any neighbor or girlfriend to share that cup of coffee with, but possibly reading more gentle blogs such as yours and getting to know you and your readers will eventually substitute. Thanks for the beautiful reminder! Oh I’m so sorry! Big hugs to you. I’m so glad you are here. I love this! We are currently renting, but since we are planning to be in this home for a few years I still have dreams for it. Little by little, I am excited to make this house our home! Did you write this post just for me? It took me more than 10 years to start loving my house. Partly it was because I was so busy with a demanding job and little kids that I didn’t do any big improvements, but also because I didn’t know where to start. Fast forward a decade, and finally we have the money for the big improvements, and many small ones behind us. I used to mutter “I hate this house” almost every day (my husband selected and purchased without my seeing it). I lobbied for us selling the house and moving, but eventually made peace, found gratitude, and decided to administer some love. At least once a week I now search the internet for inspiration, and I have to say a big “thank you” to all you bloggers. My house might even, some day, be cool! 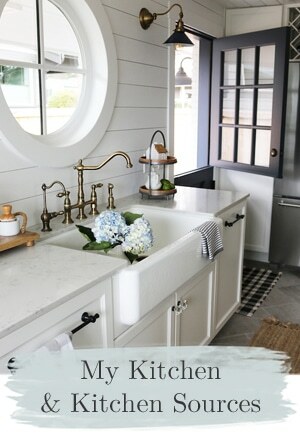 I would absolutely love creating a house, where money is no option; and I can buy everything I like for my home, BUT I love to dream; and blogs like these keeps giving me new ideas. 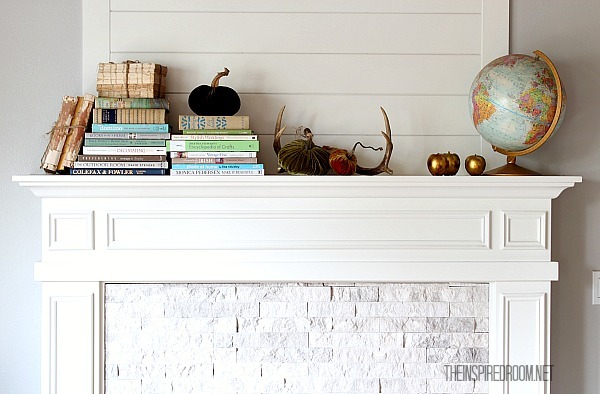 what was the name of the stone you used on the fireplace? I LOVE it android it would be perfect in my home!! !